Yup, the two teams competing in the 2014 FIFA World Cup final are Argentina and Germany. And that makes Brazil's humiliating 7-1 loss to Germany on Tuesday even worse. Which probably no one even thought was possible! See, Brazil and Argentina are not just geographic neighbors. They're also the stars of a soccer rivalry so epic it's referred to as the "Battle of the South Americans." The only thing that could be worse than this is if Argentina actually wins. The Argentina-Netherlands game was a snoozefest, with a final score of 0-0. 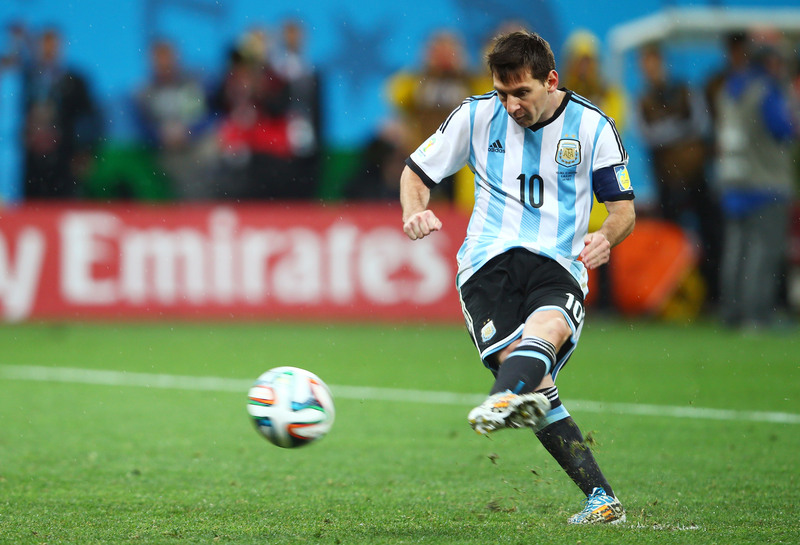 The game ultimately went to a shootout, where the golden foot of Argentine star forward Lionel Messi knocked in the country's first penalty kick even though the Netherlands' goalie, Jasper Cillessen — who had previously never saved a penalty kick in his life — had been explicitly instructed about which side of the net each player was more likely to hit. But the ESPN commentators summed up how futile that was against a player like Messi. Likely's one thing, Messi's another. Brazil's worst nightmare just got a whole lot worse. Brasil, decime qué se siente, tener en casa tu papa — Brazil, tell me how it feels to be bossed around in your own home. Maradona es mas grande que Pele. Diego Maradona is an Argentinian. Pele is a Brazilian. Each is frequently said to be the greatest soccer player of all time, and the two shared the FIFA Player of the 20th Century award. (Yes, that's a real award.) You can see why this unfavorable comparison would incite Brazilians. Now Brazil has to decide who to root for in the final: The team that humiliated them 7-1, or the team they hate more than any other. We're guessing they'll pick Germany, because at least that would help validate Brazil's loss. And if that performance is any indication, Germany will be a tough team to beat in the final. Argentina will face off against Germany on Sunday at 3:00 p.m. EST in the Estádio Maracanã in Rio de Janeiro.